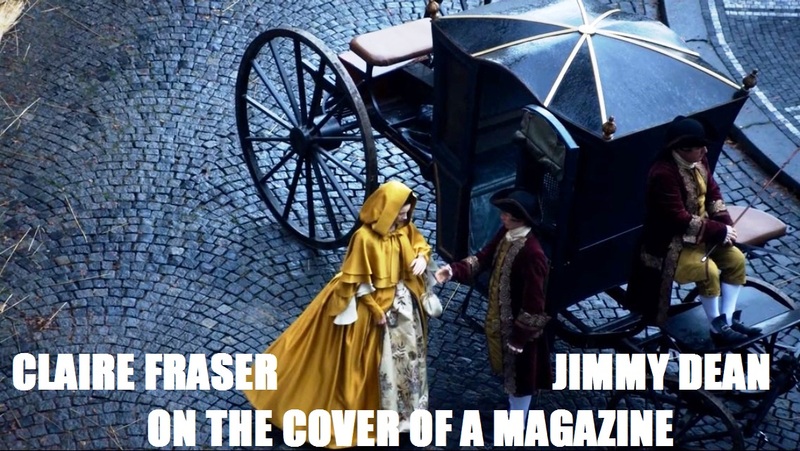 I’ve made a useful occupation of obsessing over Jamie Fraser for several years now, and episode 203 of Outlander, “Useful Occupations and Deceptions,” gave me even more material to swoon about. His hair alone deserves a blog in itself, but I dinna have the time for that, so I’ll just leave this here and move on to this week’s Outlander Superlatives. If there’s a dog on the scene, he will be the MVP for me every time. And Bouton sniffs out disease and listens to commands in French! Not to mention the fact that he is too cute for words. Real talk: How do they get dogs to act so well? Should I get my dog into acting? 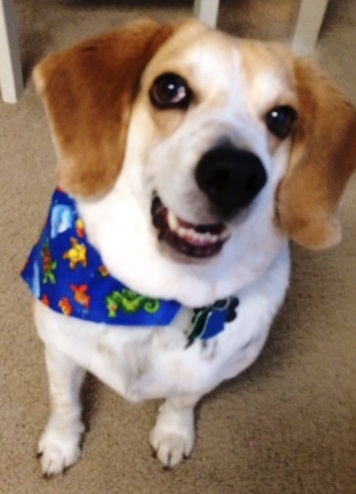 I’ve always thought he would be a great spokesperson for doggie toothpaste. FERGUS AKA CLAUDEL IS IN THE HOUSE Y’ALL!!! 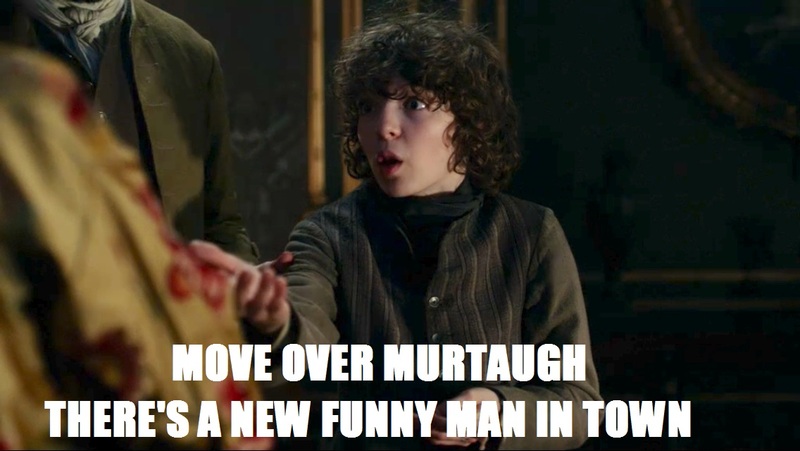 I have been waiting for Fergus ever since Outlander became a TV show, and he’s finally here! With his bowing, his pickpocketry, and his compliments to the ladies, he’s already stolen the show. (Literally. He’s a thief!) 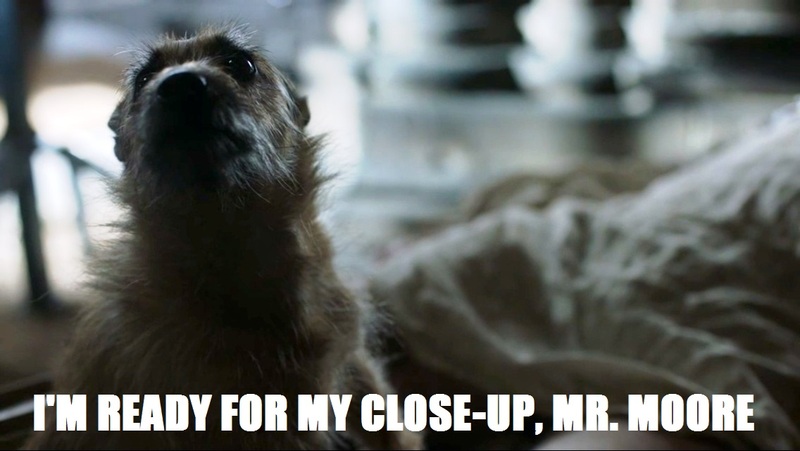 This wee fiend is just what Jamie needed in his life, and I cannot wait to watch their relationship unfold. 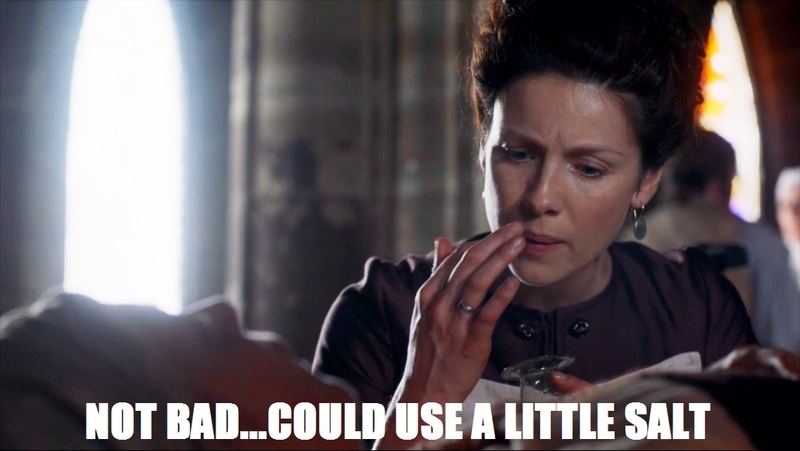 Remember last season when Claire was always in muted brown dresses? Now everything she wears is F-A-B-ulous. If I were Claire, I’d be like, “Let’s stay in Paris forever!” I know she’s bored and all, but deep down she must be so glad they went to Jared. Mary Hawkins is obviously the Charlotte. Louise is without a doubt the Samantha. Curly, introspective Claire is the Carrie, and I have to imagine that one of those ladies hanging out in the background is dry and sarcastic like Miranda. 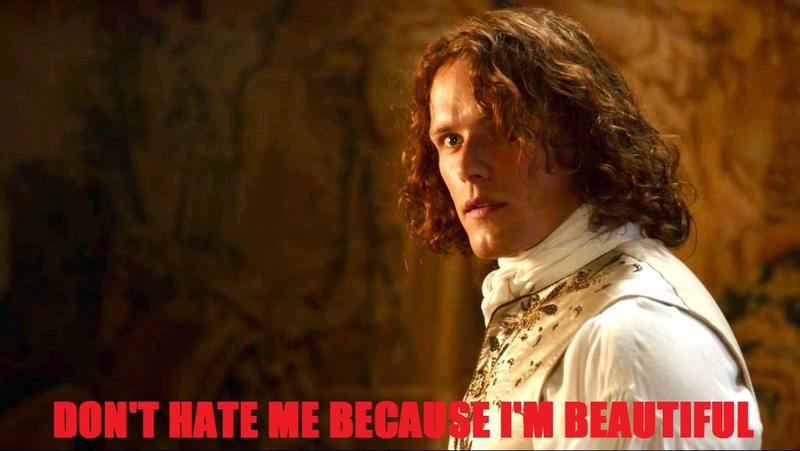 It’s not all about looks with JAMMF. The man has got a brain. I never knew chess could be so hot, but there’s nothing sexier than watching our Jamie outsmart Monsieur Duverney again and again. I mean, except for shirtless Jamie or kilted Jamie or dirty, dueling Jamie. 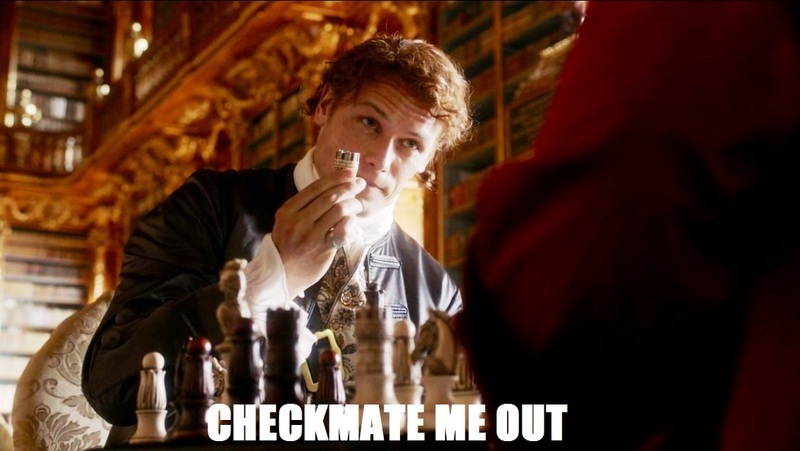 But Chess King Jamie is also very hot. There are so many things that Claire does that I could never, ever do. Taste testing pee for diabetes is without a doubt at the top of that list, even above facing down Black Jack Randall. Mad respect, Claire. I want to be like you, but I’ll leave the medical expertise to you. What were your favorite moments from episode 203? Are you ready for more Fergus in your life? More Murtaugh? 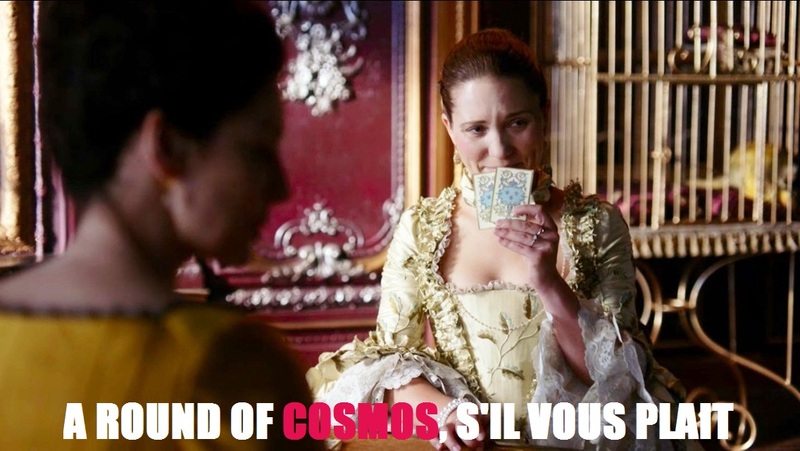 And how excited are you for episode 204, “La Dame Blanche”? 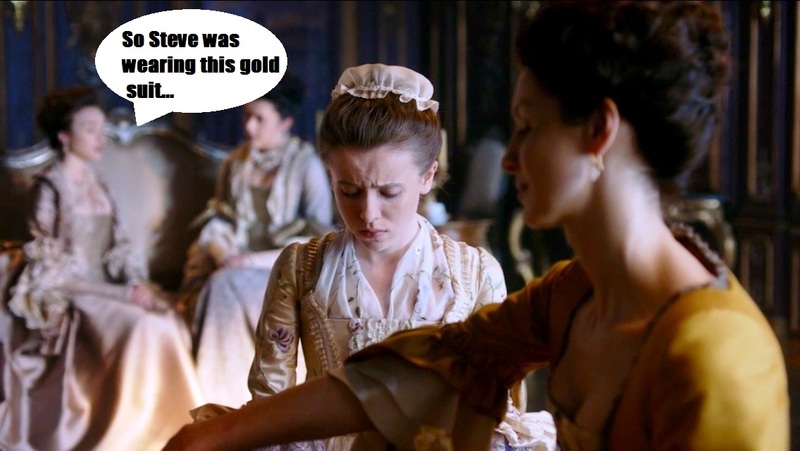 Miss last week’s installment of Outlander Superlatives? Check it out here. I love your blog! You’re so funny! I enjoy every word and comment of each and every one of them! Looking forward to your next! I dinna want to miss a one! No mention of St. Germain’s brooding face? ?